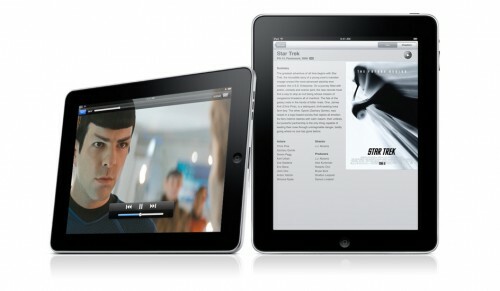 The Classy Geekâ€™s 2010 Holiday Gift Guide | It's not your tech, it's how you use it. it’s the most wonderful time of the year, and it’s about time to start thinking about what you’ll be putting under the tree or picking up for your loved ones now that it’s gift-giving season. Also, if you find yourself shopping for a classy geek this holiday season or you just want some ideas to give the people shopping for you, or maybe you want to pick up something nice for yourself while you’re buying gifts for everyone else, let me help you find a gift that will make your recipient’s eyes light up with joy when they unwrap it. With a little thinking ahead and this list in your pocket, you can be sure that what you put under the tree this year won’t wind up under someone else’s tree next year or up on Craigslist as soon as the new year turns or spring cleaning season comes around. Perhaps one of the smash hits this holiday season was just released a few weeks ago, and will likely make enough waves that you won’t be the only person asking for it when you get to your local electronics store or department store: it’s Microsoft’s new Kinect motion control system for the XBox 360 game console. Now, I’m suggesting the XBox 360 Slim with Kinect, because there are some great prices on bundles available right now from a number of retailers both on-and-offline, but if you already have an XBox 360 that you’re happy with and you’re not looking to upgrade it, you can pick up a Microsoft Kinect system for your current XBox 360. 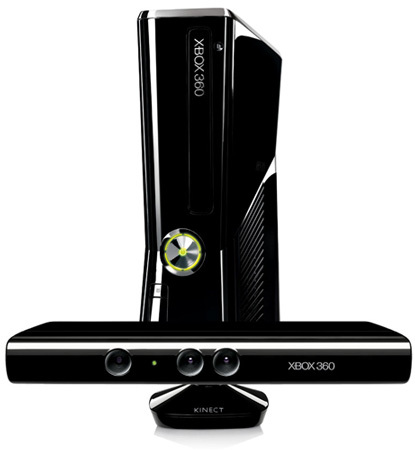 Even so, the new XBox 360 Slim reportedly is much more stable than the old version, runs cooler, packs a more powerful processor, and is Kinect ready, meaning you don’t need extra power cables for Kinect – you can plug it easily right into the new XBox 360 Slim instead of having to connect the Kinect (see what I did there) and then plug it up to power. Regardless, the Kinect is definitely one of the best gifts you can give anyone this holiday season: the gift of having fun playing games – either alone or with you – while being simultaneously forced to get off the couch and get active. It seems like it’s been so much longer, but the Apple iPad was only announced in January of 2010 and released in April – the gadget that’s made itself a mainstay in so many people’s lives, spawned an array of peripherals, cases, stands, and generally horrible Android-based copycats, and all but defined what a tablet computer should be, has only been with us for less time than it takes to have a baby. Isn’t that scary? Regardless, the iPad makes probably one of the most bang-for-your-buck gifts that you can give anyone this holiday season, whether they’re a technophile or a self-proclaimed luddite. Aside from being a ton of fun to use for the basics like checking e-mail, watching Web video, listening to music, surfing the Web, and keeping up magliette calcio a poco prezzo with your social networks, the device is also backed by Apple’s iTunes App Store, which has literally hundreds of thousands of apps that extend its functionality beyond what it can do out of the box. Best of all, many of those apps are free, so it’s the gift that keeps on giving. Admittedly, the iPad is an Apple product, so there very well may be an updated version announced early next year, but there’s no way to really tell. In the interim though, the iPad makes a great gift, and if you’re the type to personalize gifts, it might be worth ninja-syncing your gift iPad with your recipient’s iTunes account (or set one up if they don’t have one) and download some apps you know they’ll like to the device so they have something fun to play with when they open it. By the way, I suggest picking up the Wi-Fi-only version, unless you know they’ll want the 3G model and you’re not handing them an unwanted monthly fee by way of a cellular service bill. and the Pogo Stylus from TenOne Design both work swimmingly with capacitive touch-screens, you know the kind you have to actually touch with your finger to make work? If you’re like me at all – or better yet, the person you’re buying for is like me – your fingertips can sometimes be a little big for those small touch-screens, especially on smartphones. 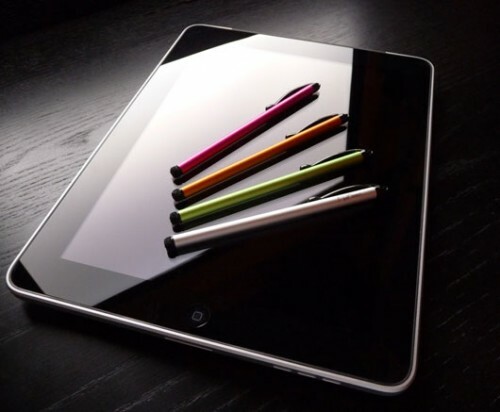 The Pogo Stylus is the smaller model designed for smartphones, and the Pogo Sketch is a larger, longer model designed for tablets. Personally, I don’t find the Pogo Sketch too large to use on my smartphone, but you can decide which one will work best for the lucky geek you’re shopping for. It’s a great way to give a gift that lets someone continue to use their smartphone with solid accuracy even if their hands are in gloves, or even if they’re sitting around someplace warm and comfortable but need a little precision on their touch-screen. Android phones tore up the smartphone market this year, and unless you’re absolutely sold on the iPhone specifically (and you’re willing to go with AT&T for one – at least until Apple ditches them) or you’re really eager in Microsoft’s recently released and still somewhat unproven Windows Phone 7 platform, Android’s the place to be Cheap NFL Jerseys if you want a smartphone that’s functional, fun to use, feature rich, is under active development, and who’s star is rising. You won’t go wrong picking up an Android phone for someone this year – assuming, like I’ve said before – that they’re okay with inheriting a cell phone bill for the holidays along with their shiny new device. Granted, there a re a number of Android phones on the market, and a lot of them are great devices. What tipped me over to the Samsung Galaxy S line of smartphones is the fact that Samsung did something that a number of manufacturers didn’t have the money or the desire to do: break the lock that American wireless carriers have on device by releasing slightly remade and remodeled versions of the same phone on each major carrier. You have to salute that. 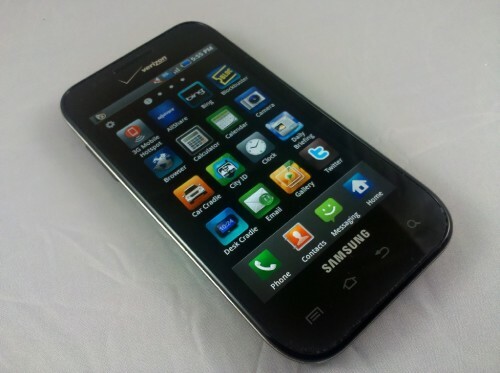 For example, the Samsung Captivate has been tearing up sales on AT&T, the Samsung Fascinate on Verizon Wireless is second in power only to their flagship device (one I prefer actually,) the Motorola DROID X , the Samsung Vibrant on T-Mobile is doing exceptionally well, and the Samsung Epic 4G on Sprint comes with a full QWERTY slide-out keyboard, front-facing camera, and so much horsepower it’s the least like its brothers. All four are “Galaxy S” phones, so regardless of the carrier the person you’re shopping for currently uses, you can spend some cash to get them a great smartphone upgrade without forcing them to pay a termination fee and switch carriers unless they already want to. 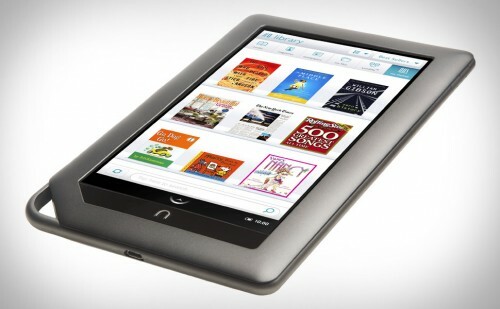 Last year, we suggested that you pick up the Amazon Kindle eReader for the holiday season. That suggestion still stands – it’s a great device, and this year the Kindle got smaller, got smarter, got a bigger battery and a sharper screen, and overall improved a lot. The Kindle has a lot going for it, no doubt, but if you want the experience of an eReader but you also like the color screen of something like the iPad, the new Barnes and Noble Nook Color eReader was designed to strike that middle ground perfectly. If the geek in your life this holiday season is looking for an eReader, or if you’re shopping for someone who wants something more than an eReader but less than a full-blown tablet, this is the gadget to wrap up for them. Sometimes you get what you pay for, and even though the Beats Studio by Dre Noise-Canceling Headphones and their smaller, more affordable cousins the Beats Solo by Dr. Dre On-Ear Headphones were made through a partnership with Dr. Dre’s new Beats Audio program (to which a number of manufacturers have signed up) and Monster Audio – a company who’s name brings fear to the hearts of cost/benefit minded geeks everywhere – these cans deliver in a huge way. I first had the privilege to listen to a pair at CES in January of 2010 at the Microsoft booth, where all of their Zune media players had the eadphones attached, and I fell in love. They’re by far not the cheapest active noise cancelling headphones on the market, but they’re definitely the best at both active noise Maglia Inter Milan cancellation and audio quality. Note I said “both.” There are headphones out there that are better at noise cancellation, and there are audiophile-level headphones better at audio quality, but if you want both of them at a premium level that doesn’t simply gut one of those features to boost another, these are the headphones to get. 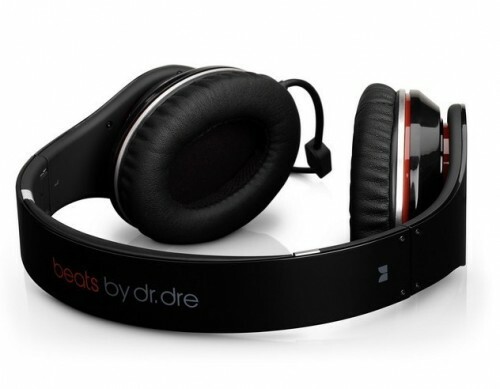 The Solo keep the same look and strong audio quality and deep bass, but drop the active noise cancellation. You’ll get them a bit cheaper, but if you’re looking for a good pair of noise cancelling headphones for the classy geek on your gift list, buy the Studios. The Solos look and sound great too if you don’t want to spend the $299 retail on the Studio model. A number of states, including the one I live in, have recently passed laws restricting use of cell phones while you’re driving unless you’re using a hands-free device. Admittedly, I still see a lot of people driving around with their phones up to their ears, but if you want to obey the law, get the most use from your cell phone, and get clear and crisp audio when you do have to take a call, the BlueAnt Q2 Headset (or its freshly released but more expensive successor the Q2 Platinum) is worth the sub-hundred dollars you’ll put into it. Your recipient will get the best benefit if they have a smartphone that has voice commands – when paired with the Q2, the user gets access to the phone’s voice commands through the device, hears their text messages read aloud, and gets the benefit of mobile apps that help configure and control the headset. Your lucky geek will also get caller announce – meaning when you call them, the headset will tell them who it is, not just that they have an incoming call. Perhaps most importantly, though, they’ll get some of the best call quality you can get in a Bluetooth headset and the benefit of BlueAnt’s Wind Armor technology, which makes sure they can hear clearly if they’re driving with the windows down or are outside in the wind, and that you can hear their voice clearly when they speak in those conditions. I know, I know, Aliph’s Jawbone ICON and Jawbone Prime are the mainstays in this category, but I have to admit, I have a soft spot for the Q2’s price point and the fact that you get free smartphone apps and features along with it. Maybe you’re looking for something to wrap up for the gamer in your life? Well, if they haven’t played this title already – one that came out at the beginning of the year to much fanfare – this should definitely make it onto your holiday shopping list. You can pick up a copy of Mass Effect 2 cheaper now than its release in January. 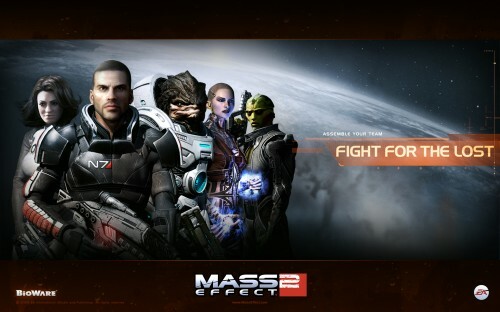 Mass Effect 2 is the latest chapter in an incredible sci-fi series that combines drama, incredible story, truly unique gameplay, and tons of fun and crams it all into a package that’ll make any gamer happy on any platform. from all of the customization options to the wealth of missions and storylines to follow to the intricate interpersonal relationships you cultivate in the game, Mass Effect 2 is one of the best games of the year, and definitely one that, if your lucky gamer gets it, will keep them busy well through the new year. I’m cheating a little bit by suggesting this title, because it’s actually not going to be released until December 7th – but when it is, oh boy will it be amazing. 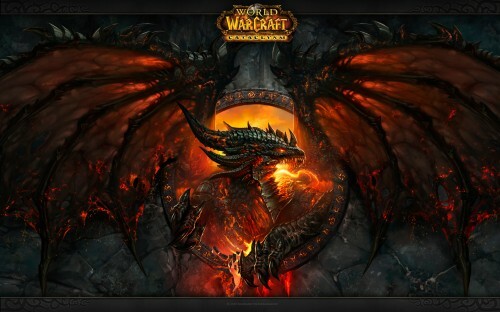 I partially say that because I’m a World of Warcraft player, and I completely realize that the people who will get the best benefit from the latest expansion to the World of Warcraft franchise are the people who have been playing and looking forward to it already, but if your gamer geek stopped playing sometime during the last expansion, this is the gift to get them back in. And yes, I fully realize that even though I frown on essentially gifting someone a bill, this is a subscription-based MMO where recurring payments are required to continue play. To remedy this, I propose giving your gamer a World of Warcraft 60 Day Game Card with a little pre-paid play time to see if they like the game, and then they can decide if they want to continue. If they’ve never played, you might want to give the gift of a 10-day free trial to see if they’d really play before snagging the game and its expansions up through Cataclysm first, but trust me, with 12 million active subscribers, you can’t really go wrong. Give the gift of addictive, minging, crafting, zombie-slaying, creeper-dodging, build-anything-you-can-think-of gameplay by giving the gift of Minecraft. The smash hit has made one independent developer very very happy, and for the price of less than $15 USD, it’ll make a geek on your list very happy too. 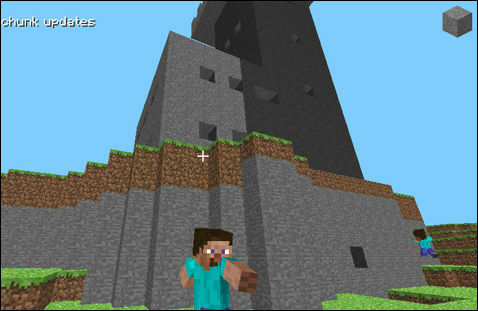 There are thousands of Minecraft servers up and available all over the world, where people are building things as massive as an in-game scale model of the USS Enterprise NCC-1701-D to massive castles and structures to live in and more. The game has a culture all its own, and is under incredibly heavy development, with more features, multiplayer support, and additional changes to the game base and the world on the way. You can even buy the game and roll your own Minecraft server to suit your preferences and live in it all alone, building everything you want to your hearts content, or open it up to your friends or to the world to join in on. See the possibilities? Make them real for someone on your shopping list, they’ll thank you. 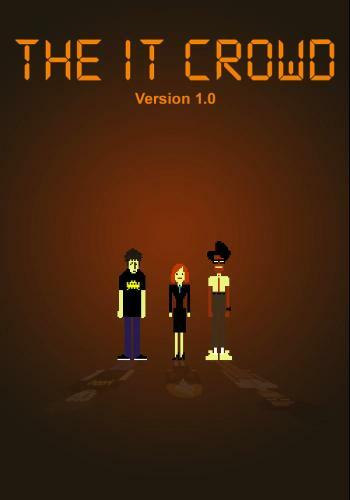 You don’t have to be a huge fan of British comedy to appreciate The IT Crowd, but if you are, it’s even better. The television series, which just finished airing its fourth season in the UK on Channel 4, has endeared itself to geeks on both sides of the pond with its hilarious characterizations of your typical small, basement, underfunded IT department that largely escapes the watchful eyes of the rest of the company because no one thinks of them until something goes wrong. Best of all, the DVDs come loaded with extras, gags, behind the scenes views of the set that’s loaded down with gear from ThinkGeek and the Electronic Frontier Foundation, and more. If you’re shopping for someone who’s ever worked in a corporate IT department in their lives, especially someone who’s had to work in IT support at one time or another, this is a gift they’ll treasure forever, and then show their friends. We’ve done enough food and drink stories that you should know by now that The Classy Geek isn’t just about technology and gadgets and gear – I mean, who doesn’t love the stuff, but sometimes we have to get our caffeine on too, and if the folks you’re shopping for this holiday season appreciate a good cup of coffee as much as I do, they’ll love the Aeropress. 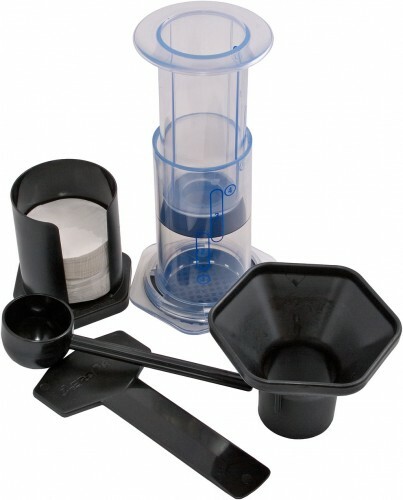 The Aeropress is a portable coffeemaker that takes ground coffee, boiling water, and with the power of your hands and the miracle of emulsion, turns it into a delicious espresso-style pressed coffee drink that will fill about a cup at a time. The best thing about it is that even though it’s a little more labor intensive Maglia AC Milan than a drip coffee maker, it makes fantastic coffee, and the show you put on when you use it (and the show your recipient will put on the first time they try it) is enough entertainment to make the gift worthwhile in its own right. It’s no side-kitchen gadget either: the Aeropress may be a unitasker, but because the coffee that comes out of it is more like espresso than it is like drip, you can make more complicated coffee drinks with it, and perhaps best of all, it’s a geeky gift in an affordable package: you get to give a gift that lets your geek learn a little something, tell others when they fall in love with it, and get their caffeine fix all in the same box. 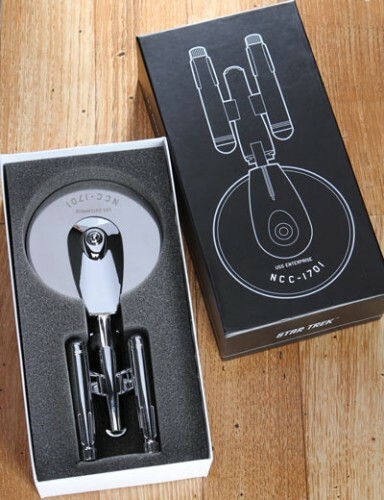 The folks at ThinkGeek outdid themselves with this, to the point where I’m so in love with it that I’ll overlook the not-quite-so-classy aspect of a pizza cutter that’s shaped like the starship Enterprise from the original Star Trek series. Here’s the clincher though – it works, it’s amazing, it’s stainless steel, it’s an officially licensed Star Trek product, and it’s something that you and every other geek on the planet have to admit you’ve thought of at some point, and even if you haven’t, you have to admit it’s pretty damned cool. The Enterprise Pizza Cutter slices through pizza with ease, and is a geeky goodie worthy of a place of honor in your kitchen. I know, I know, it’s not easy to clean, it’s not a multi-tasker, it’s not a handy kitchen gadget that you’ll see on a gourmet’s must-have list, but work with me here: it’s the Enterprise. As a pizza cutter. Careful though, that saucer section is sharp! 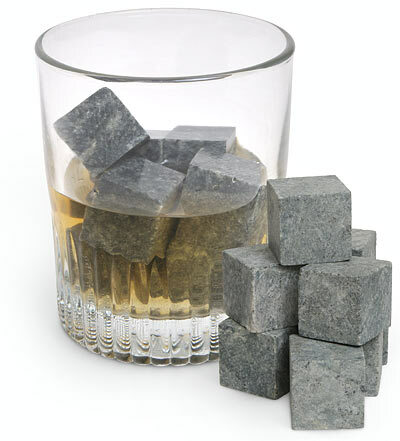 Turning up the class a notch, these handy little soapstone cubes help you avoid a cardinal sin when sipping fine liquor: diluting it with ice. Some people say a splash of water in a glass of whiskey, scotch, bourbon, or rum will help open up the flavors, but I tend to prefer my sippable liquors neat, without water or ice. At the same time, I also prefer them a little chilly, so instead of putting an ice cube in my glass of scotch, I’ll toss in a couple of these. The stones themselves live in your freezer until you need them, and when you’re ready to have a drink, just take them out of the freezer and toss them into your glass. They’ll be as cold as ice, and when you pour your liquor of choice over them you’ll cool it off substantially. Best of both worlds – you get a nice chilled scotch, gin, or whiskey, and you don’t lose the flavor by adding water. They’re the perfect gift for the geek you know who either has a bar, or followed the advice in our Bar Essentials series! I mentioned the importance of having the right beer glasses in our feature on how the right glass or pour can make all the difference when it comes to drinking a good wine or beer, and now that it’s the holiday season and time to shop for others, do yourself a favor and get your friends who are still drinking their beer out of red plastic cups frathouse style a set of nice beer glasses. 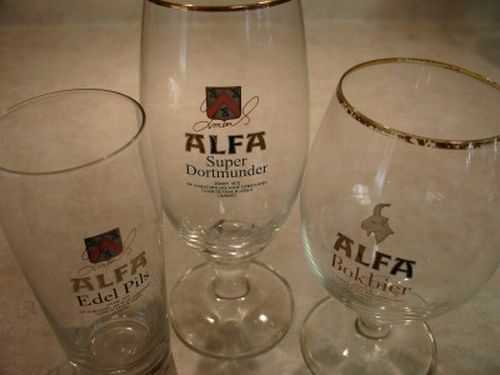 You can pick up a set of 6 tall Pilsner Beer Glasses like you can get at just about any department store or liquor store, but if you know someone who loves a good beer, loves learning about beer, and loves growing to appreciate good beer, do them a favor and get them a tulip-style beer glass set , or at least a flared imperial pub glass or two . The benefits to the tulip style is that after the pour that bulbous space in the glass gives the aromatics a great opportunity to develop along with the head of the beer as its slowly settling down. There’s a reason they’re so popular in Belgium when you order a nice ale, now you can give the gift of a better beer for the budding beer connoisseur in your life, and you won’t have to spend a fortune to give them a gift that boosts their knowledge, benefits their taste buds, and gives them something fun to talk about the next time they share a beer with a friend. There it is, folks – a great list of geeky goodies that will make any type of geek on your holiday shopping list happy. Regardless of if they’re a food and wine geek, a gadget fiend, a phone freak, a gamer, or all of the above, there’s something up here that will make them happy. Best of all, a number of the suggestions are budget friendly, so if your’e shopping with costs in mind you can take some of these suggestions to heart and know you’re getting something the guy or gal geek in your life will appreciate without breaking the bank to make them happy. Granted, I’m assuming you’re shopping for someone else – if you read this over and said to yourself “wow, I wish someone would get these for me,” may I suggest sending a link to your friends or family? And with that, let me wish you a happy, classy, and geeky holiday, whatever you celebrate!